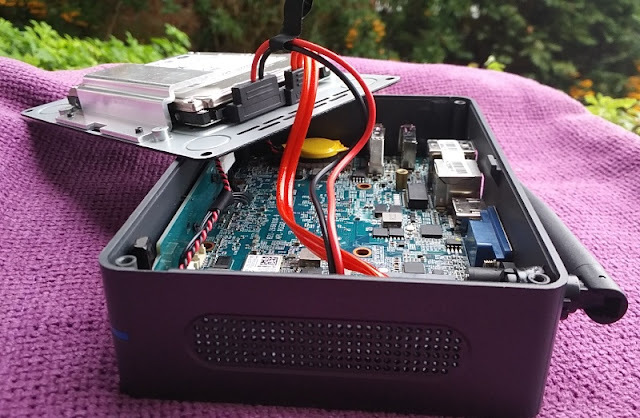 A neat way to liberate yourself from an ATX tower without going the laptop route is with a mini PC like the Azulle Byte3. 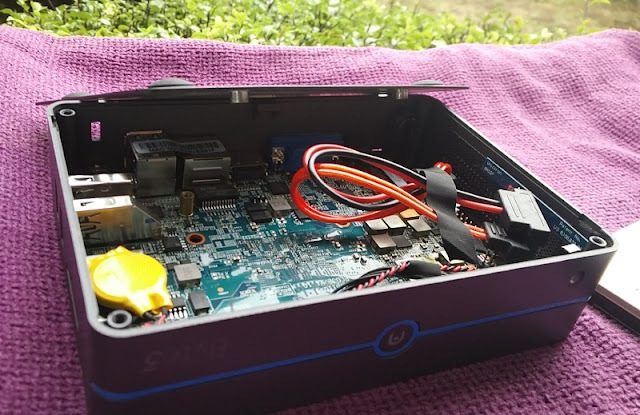 The Byte3 tiny desktop computer lets you free up space because of its small form factor so you can actually have it on your desk under a monitor or mounted behind a monitor! 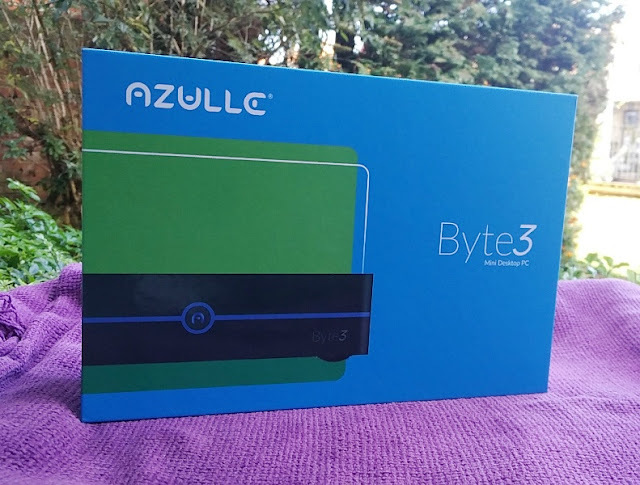 The Azulle Byte3 is small enough (5.6 inches long, 4 inches wide and 1.5 inches thick) and light enough to be portable too, weighing just 500 grams. 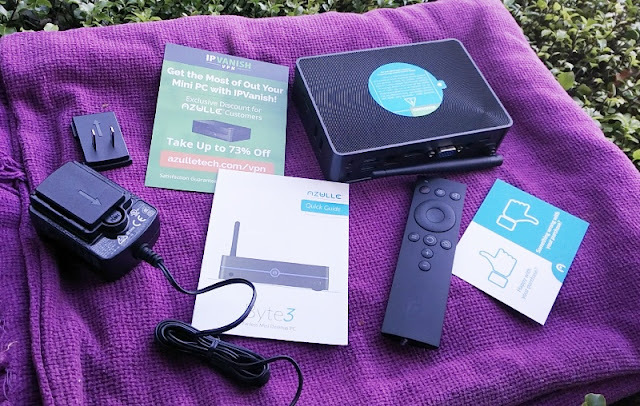 On the front of the Azulle Byte3 mini PC, you find the power button and the IR receiver for the remote control which comes handy when navigating multimedia applications such as Netflix, Hulu and Kodi. 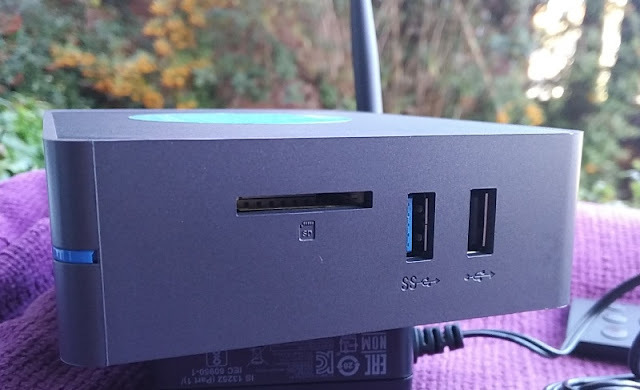 On the left side of the Azulle Byte3 mini PC, you find a USB 3.0, a USB 2.0 and a SD card slot with support for up to 256GB. 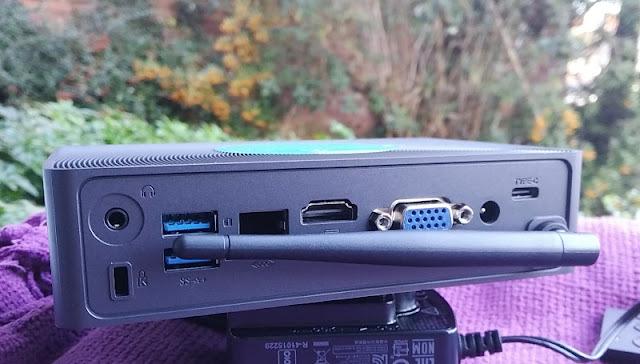 On the back of the Azulle Byte3 mini PC, you find a 3.5mm audio socket, a kensington lock, two USB 3.0 ports, a Gigabit Ethernet port, HDMI output, VGA output, a 12V DC power socket, a USB C port and an external Wifi antenna. 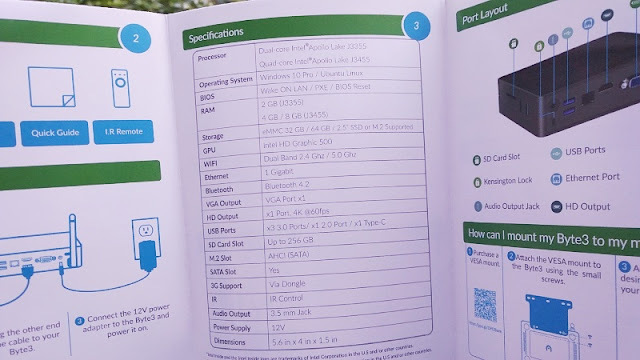 The USB C connector supports up to 10 gigabit per second but it is data only, meaning the USB C port on the Azulle Byte3 doesn't support video or power so you cannot use it to connect to and power a native DisplayPort or HDMI monitor. 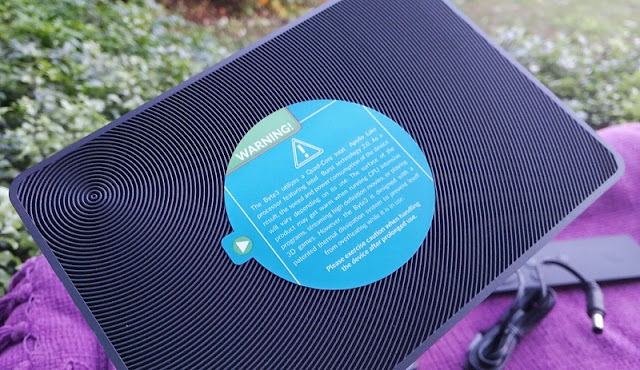 On the right side of the unit, you find a ventilation mesh for the internal heat sink to passively dissipate heat as there is no internal fan. 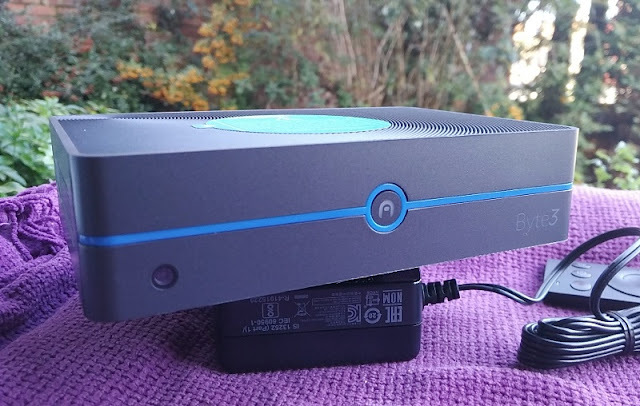 The Azulle Byte3 mini PC is a fanless mini PC just like the Access3 mini PC but with better heat dissipation thanks to the huge heatsink built on top of the Byte3 mini PC. 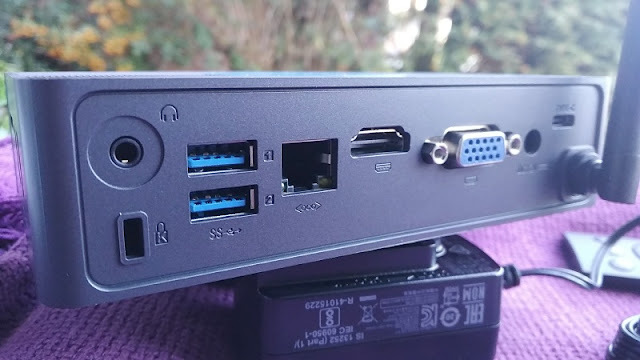 The bottom of the Azulle Byte3 mini PC features more ventilation outlets, four thick rubber feet and six phillips head screws to gain access to the Byte3's internal components. 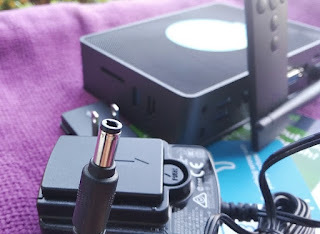 You only have to unscrew the four corner phillips head screws to remove the bottom plate of the Azulle Byte3 mini PC. 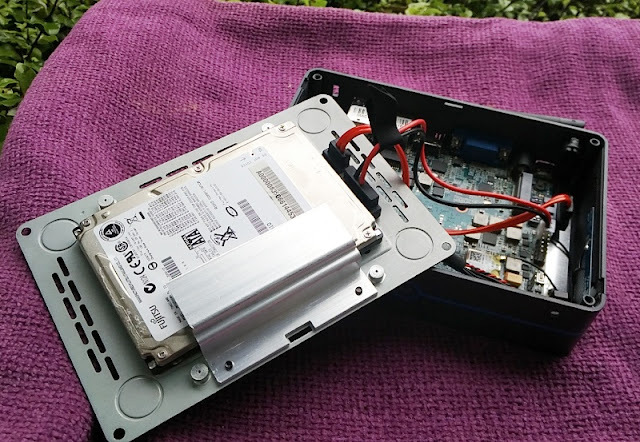 Once the bottom plate is removed, you can see the hard drive slot on the side of the bottom plate and the internal components of the Azulle Byte3 which include the motherboard, a sata data cable connector cable and a sata power connector cable (red and black) to connect to a 2.5-inch sata hard drive (hdd) or 2.5-inch sata solid-state drive (ssd). 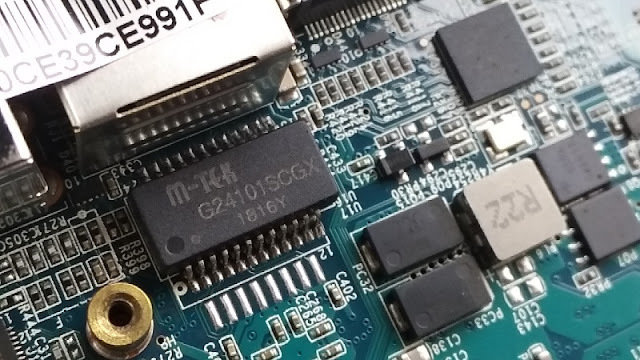 There is also a M.2 AHCI slot for an SSD. 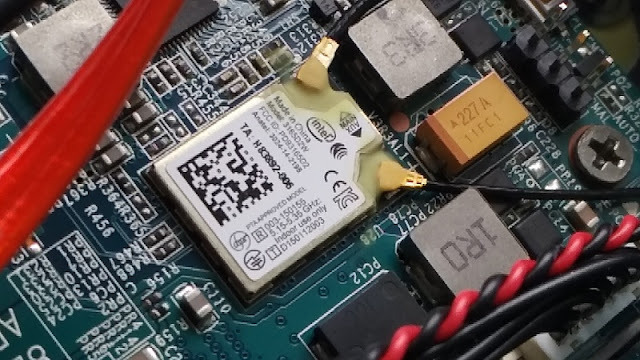 M.2 SSD is capable of data transfer speeds of up to 32 gigabits per second, whereas a mechanical sata SSD is only capable of 6 gigabits per second. 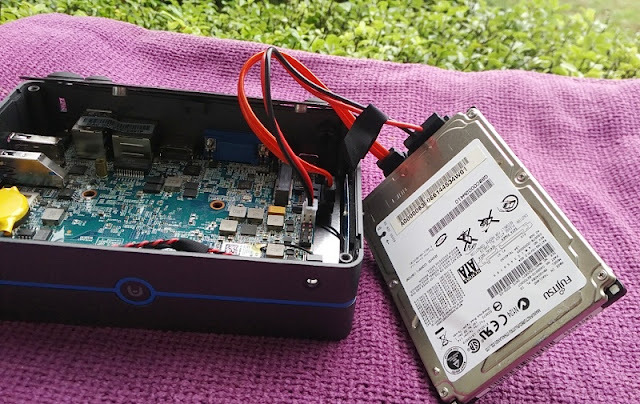 With that said, an M2 SSD on a small system like the Byte3 doesn't offer a significant performance gain over a mechanical sata SSD which is substantially cheaper than an M.2 SSD. 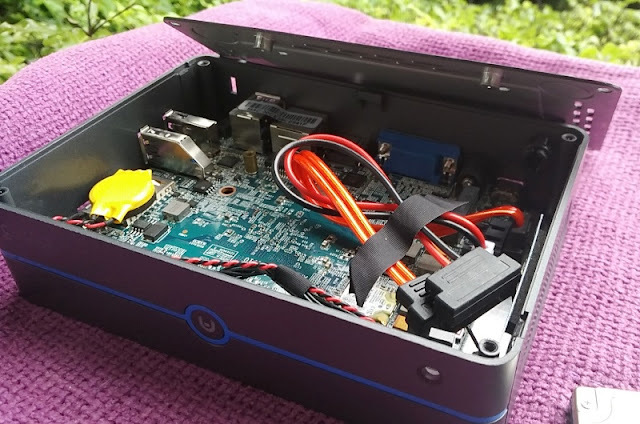 This particular Byte3 mini PC version has 4GB of RAM and 32GB of eMMC storage, which is the same type of NAND flash memory storage found in SD cards and USB flash drives. 32GB is not a whole lot of storage but fortunately, the Azulle Byte3 lets you add two different types of hard drives to expand the internal storage of the Byte3. 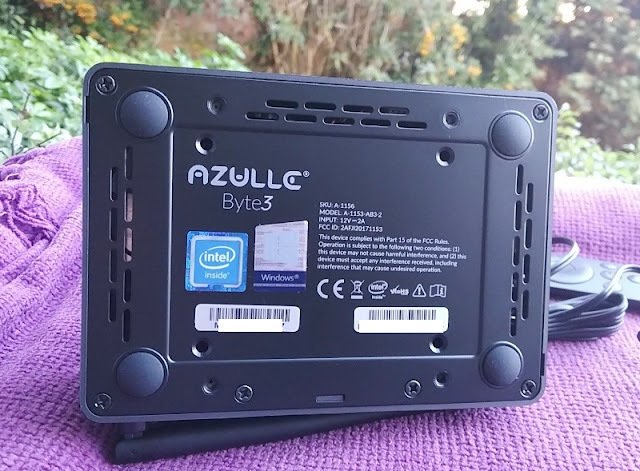 The Azulle Byte3 features a Quad-Core Apollo Lake J3455 processor, an Intel HD Graphic 500 graphics processor and Windows 10 Pro operating system. 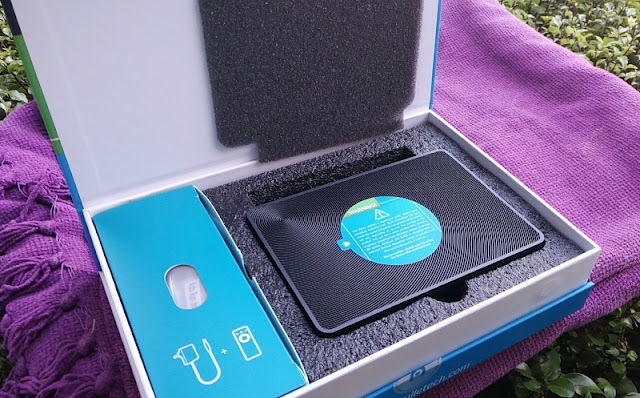 There is no AC wireless support but you get bluetooth connectivity, 2.4Ghz wireless a/b/g/n and 5GHz so you can transmit on the 5 GHz band, 2.4 GHz band and via bluetooth 4.0. As far as performance, the Azulle Byte3 performs well when running office applications and web browsing multimedia rich sites which load up quickly even with multiple tabs opened. 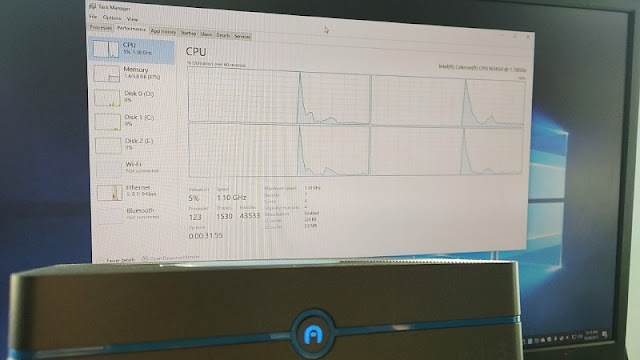 You can stream smoothly YouTube videos in 1080p at 60fps when using the Microsoft Edge browser. 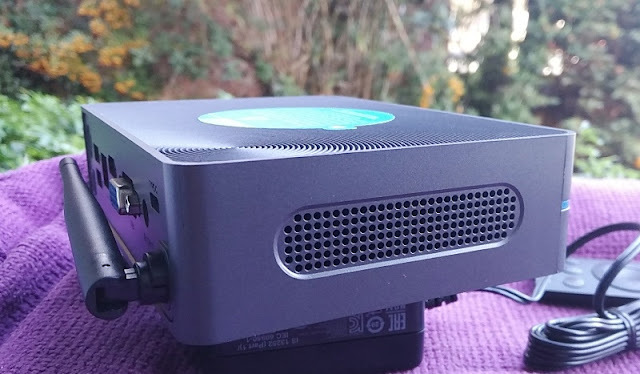 When it comes to gaming, the Azulle Byte3 mini PC can handle older games like Doom 3, Halo 2, Far Cry and Hitman: Contracts which don't tax the processor like newer games such as PlayerUnknown's Battlegrounds (PUBG) which really put stress on the system, causing performance throttling. 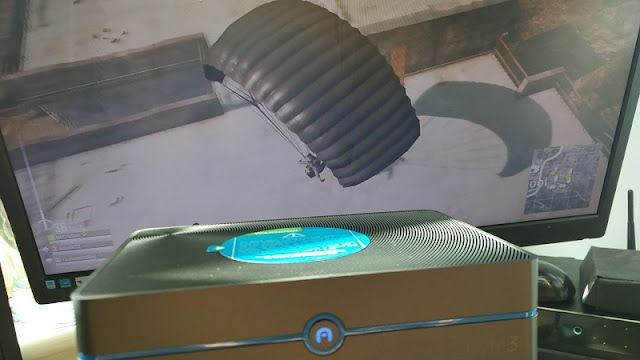 The performance lag is mainly due to the heat generated inside the Byte3. The large heatsink does help but not enough to cool down the Azulle Byte3 chip. Testing the Azulle Byte3 with the jellyfish mkv video test file shows that the Azulle Byte3 doesn't handle as well higher end HEVC files and blu-ray MKV files. 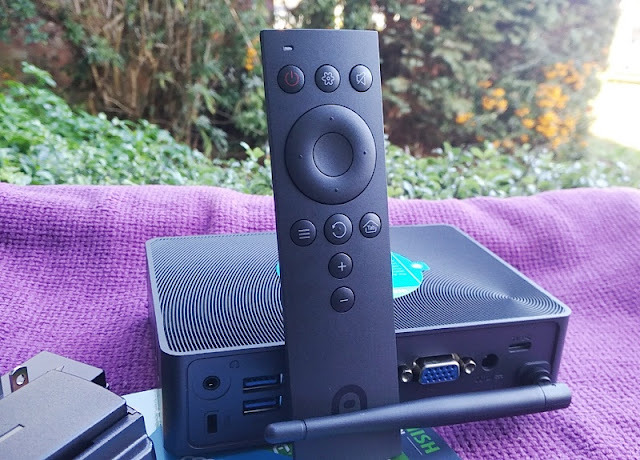 If you plan to connect the Byte3 mini PC to a 4K monitor running at the native 4K resolution, you will experience dropped and skipped frames. 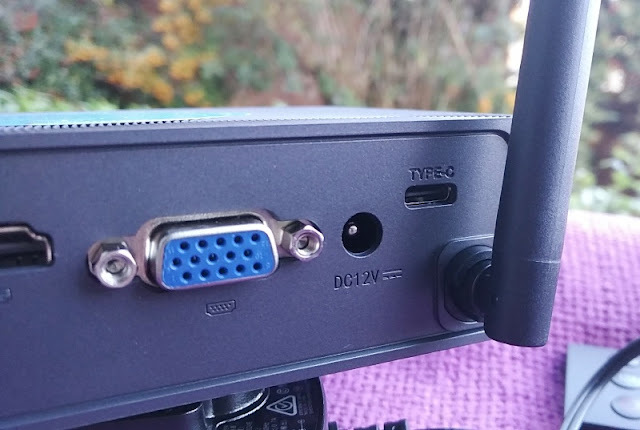 With that said, the Byte3 mini PC's HDMI out supports HDMI 2.0 at 60Hz so you can connect the Byte3 to a 4K monitor for doing basic, low demanding tasks. 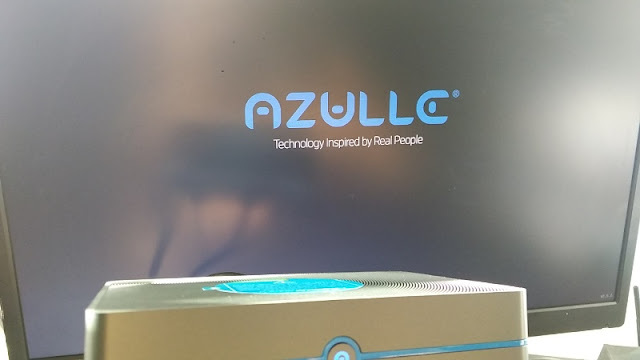 While 1080p resolution will be the highest smooth playing resolution you can get when watching movies, the Azulle Byte3 supports Dolby TrueHD and DTS-HD Master Audio lossless audio, which is the same type of audio codec used in high definition entertainment equipment such as Blu-ray Disc players. 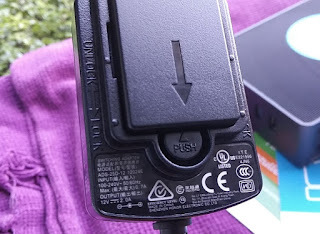 Very low power consumption (12V/2A) is, of course, one of the main benefits of using a small mini PC such as the Azulle Byte3. There is also an autorun jumper feature in the Byte3 that lets you start the Azulle Byte3 mini PC automatically. 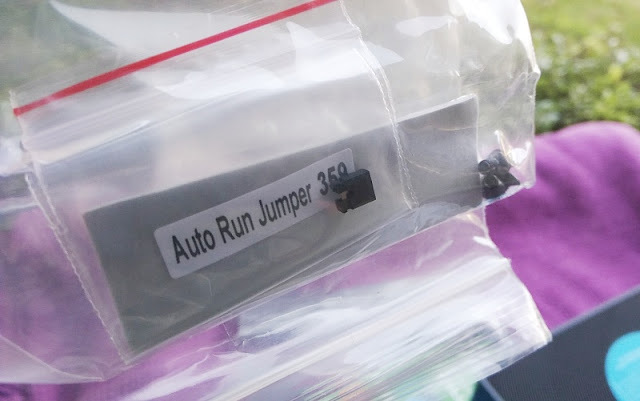 To enable this feature, you simply use the included autorun jumper to connect the first two jumper pins on the bottom right corner.